(COMMENTARY) Upsets are what put the madness in March Madness. It’s what makes the NCAA men’s basketball tournament so unpredictable each year. It’s also the chance for schools with small-time basketball programs to emerge onto a national stage alongside perennial contenders like North Carolina and Kentucky. One of the many upsets of the past few days was unleashed by No. 12 seed Liberty University, knocking out No. 5 Mississippi State on Friday night. It was the basketball equivalent of David beating Goliath. In doing so, the Flames recorded its first victory in NCAA Tournament history, a run that ended on Sunday against No. 4 Virginia Tech. Nonetheless, history had been made in the process. Brackets were busted and God was thrust into one of the biggest sports stories of the year. Let's stay for the weekend. Impact the basketball world they have over the past few days. Liberty coach Ritchie McKay, who has headed the program since 2015, praised his players for all their hard work. These God connections aren’t always easy to spot during March Madness. The television coverage on CBS Sports and in your local newspaper’s sports section aren’t always there to point them out. It’s often something a player or coach will say in postgame news conferences — and highlighted by Christian news organizations — that thrusts faith into the limelight. Did you know, for example, how Duke star Zion Williamson got his name? His parents named him after the biblical location of Mount Zion near Jerusalem. There were many religious themes to emerge over the first two rounds of this year’s tournament. Here are a few. Villanova is dethroned, long live … Gonzaga? Catholic colleges, who have traditionally dominated the tournament, have had a rough go of it at this tournament. A potential “all-Catholic” national title game fell apart over the weekend. No. 1 seed Gonzaga held up its end, defeating Baylor, the largest Baptist college in the world, on Saturday. No. 6 Villanova, last year’s champions, couldn’t and lost to No. 3 Purdue. Barring any upsets — and there have been plenty so far — the Bulldogs could very well win the whole thing on April 8 in Minneapolis. Gonzaga, appearing in its 21st consecutive tournament, has never won the tournament before. 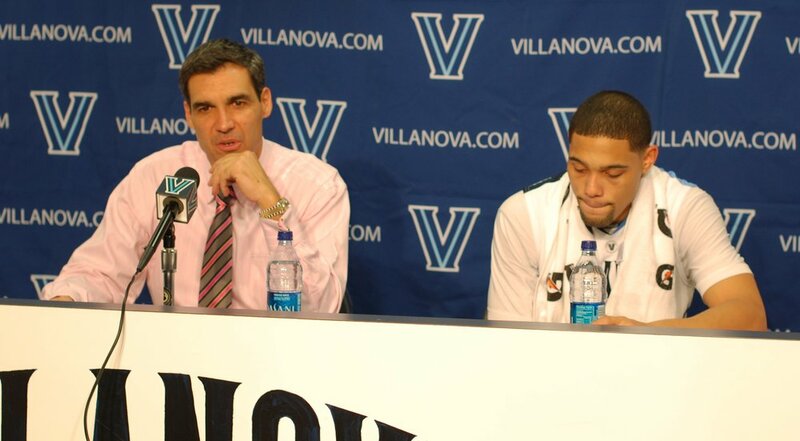 Villanova, champions twice over the past three years, are coached by Jay Wright. This is a head coach who isn’t afraid to infuse faith into his team — even though many of the players aren’t Catholic like the school that was founded and run by the Order of St. Augustine. Wright even visited Pope Francis last year at the Vatican and presented him with a basketball. While Villanova has been eliminated, Gonzaga remains Catholicism’s last great hope to win the whole thing. Another team poised to go on a Cinderella run was No. 7 Wofford, but fell short after losing on Saturday to No. 2 Kentucky. Woffard was founded by the Rev. Benjamin Wofford, a Methodist minister, and continues to offer students a liberal arts education. It also offered those same students some thrills on the court this season. Senior guard Fletcher Magee, a menace from the 3-point arc, came up short against Kentucky. The defeat also ended the school’s 21-game winning streak, the best in the country. Magee now hopes to become the next Steph Curry by entering this year’s NBA Draft. Magee also has a God connection. When not showing off his sharp-shooting skills in the court, the devout Christian has gone on missions trips to the Dominican Republic to help build homes and worked as an instructor at children’s sports camps. The long-range shooter got to play for the first time in the NCAA Tournament this season and ended his college career this weekend short of the Sweet Sixteen. A mix of God-given talent and a strong work ethic, however, allowed Magee to finish as the holder of the most 3-point field goals (509) in NCAA Division I history. God isn’t limited to religious-affiliated schools. Tony Bennett (the University of Virginia coach, not the singer) hasn’t been shy in the past (as well as the present) about addressing his faith in public and his commitment to Jesus. An Evangelical Christian, Bennett works at a secular college. However, that hasn’t stopped him from professing his faith in practice, on the bench and in postgame news conferences. When UVA became the first No. 1 seed in tournament history to lose in the first round after being upset by No. 16 UMBC last year, Bennett had to do some soul searching. Virginia — again a No. 1 seed — exorcised those demons last week and defeated No. 16 Gardner-Webb. It wasn’t easy. Bennett has cited his faith with helping to shape his coaching philosophy and the use of “Five Pillars”: humility, passion, unity, servanthood and thankfulness. Those pillars can be seen through many of Bennett’s players. A good example is De’Andre Hunter. Last year, the guard broke his wrist and missed the UMBC game. Against Gardner-Webb, the sophomore managed a paltry six points in the first half. A fear that the team would repeat last year’s nightmare began to take over the locker room. Hunter called that halftime pep talk a little “come-to-Jesus-meeting” with himself. He finished the game with 23 points. It’s just one of the many examples of how God can sometimes take center court at March Madness.